Whew! The Blogger to WordPress transfer is complete and I’m attempting my very first post on WordPress. There is a story behind why I decided to switch to a self-hosted WP site. The short version being that I woke up one day, logged on to my computer and when I tried to access my blog all I saw was a message shouting at me, “This content has been removed”! There was a moment of heart dropping terror, followed by a frantic Internet search for answers, followed by a resigned, “Oh well, I’ve only lost over a years worth of hard work . . . ! For some unknown reason, my blog came back after a few hours and I decided that the WP transfer I’d been talking about needed to happen sooner rather than later. Now, I don’t want to badmouth Blogger. I love Google and I use it every day. Let’s just suffice to say that with a self-hosted site no one can shut me down. What do you think Mr. OTN, is that a good thing or a bad thing? Hey! It came up! I must admit that figuring out how to size this picture took a bit of time but once I got the settings plugged in all of the other pics came up just the size I wanted them. So, what do you think of this “plasterish” piece of wall art I found at Goodwill? The original $49.99 price tag was still on it but I only paid $6.99. 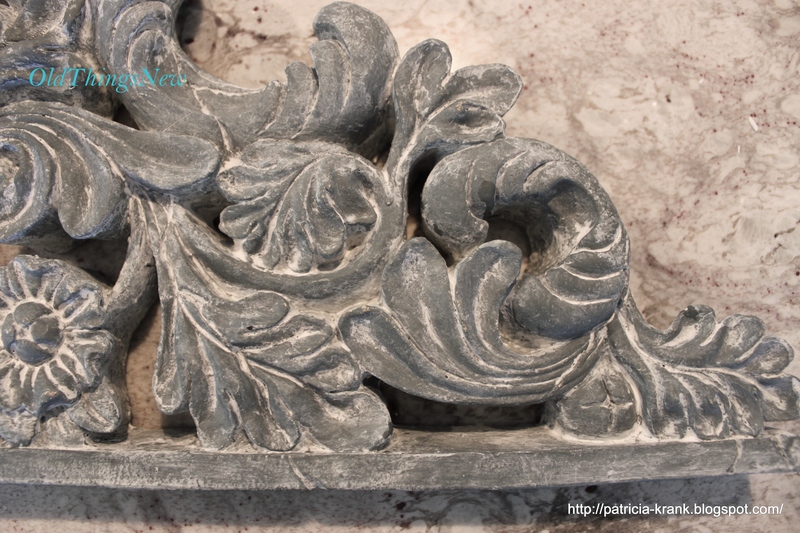 The color was a little dirty looking so I thought it might be fun to try using Gesso to create the Old World Finish that the amazing Rosemary at Villa Barnes is so adept at. I followed her step-by-step instructions. 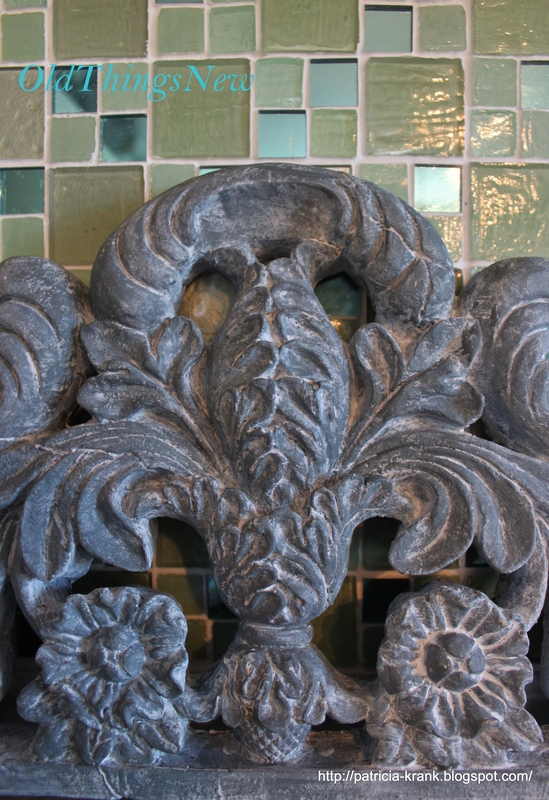 I began by painting over the grime with Home Made Chalk Paint Recipe #3 in the color Myth by Behr Paints . You can find that recipe HERE. Then I slathered on the Gesso (this product is used to prepare canvas and other surfaces to receive paint and can be found at any craft supply store). I wiped it off before it could dry with an old t-shirt, leaving behind the Gesso that had settled into the crevices. So simple and the look is totally different, don’t you think? I think it now looks more like a piece of carved stone than plaster. She looks so pretty behind my kitchen stove but alas, she cannot stay. This is just one more thing that will go along with me to the French Flea. The contents of my booth are growing one item at a time. Okay, well my first post in WP was a little time consuming but not too bad, especially since it was just little ol’ me trying to figure things out all by myself! There are still a few bugs to work out and there will definitely be a lot of new things to learn, just like there was with Blogger. I’m still trying to get used to my new look but that is something I can easily play around with (believe me, I’ve changed the background and script color dozens of times already). One feature I LOVE is that all my posts are truncated on the Home Page so that you can scroll down and see snippets of previous posts along with a thumbnail pic, and a button to “read more”. P.S. I’m still trying to figure out how to get comments to show up in my email so I can respond directly. Please be patient with me as I’m really not intentionally ignoring you! Very nice job; I like it! I love the way the piece turned out, Patti! It does look like a very old carved stone. 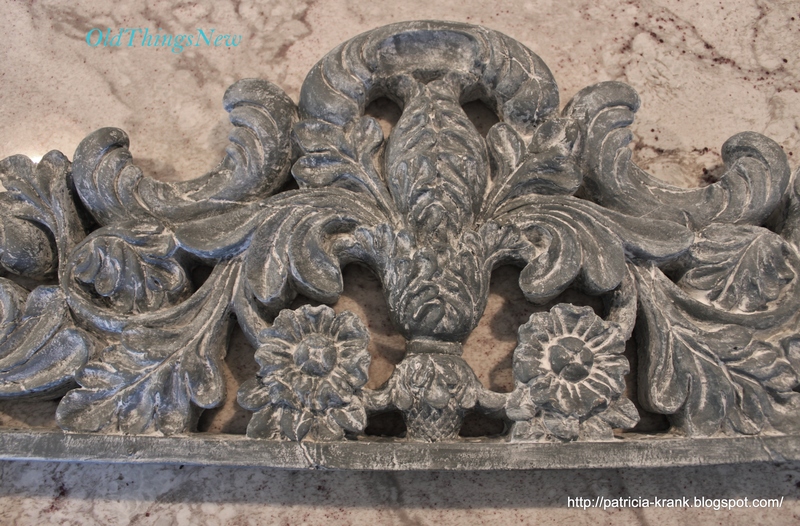 It will be amazing in a vignette or wall decor. Oh my gosh – that turned out beautiful! 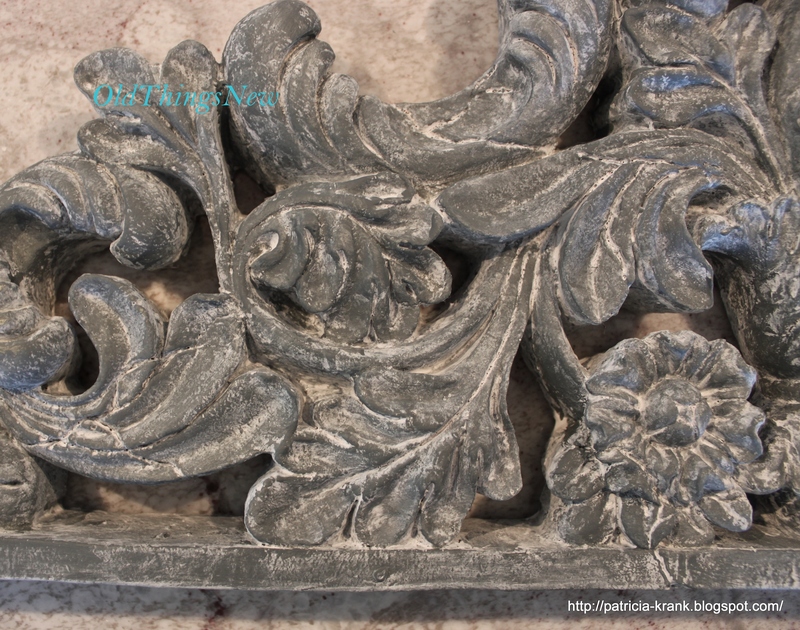 so WEIRD, I just stumbled upon Villa Barnes too cool blog earlier, and pinned this exact tutorial to try later, then I just found YOUR blog today too and here you are showing that the gesso works like magic! 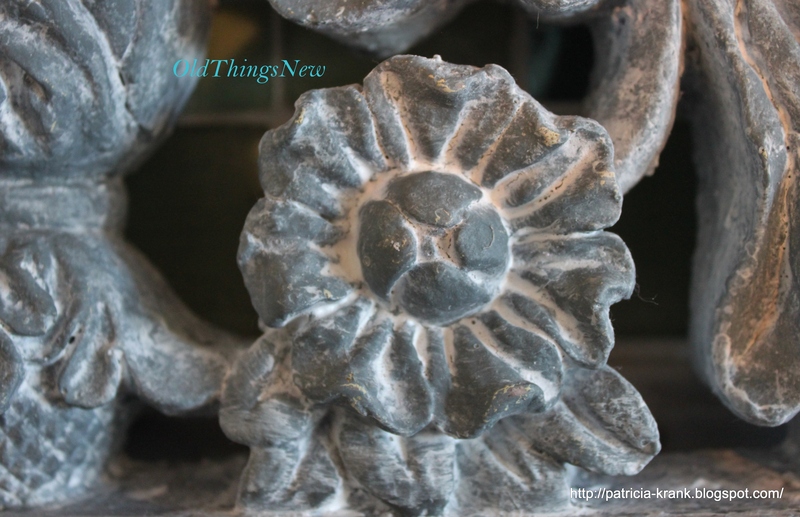 I also just bought plaster of paris yesterday, and just read your post about homemade chalk paint…. weird, you are reading my mind LOL! I am going to go stalk some more of your awesome blog and see what other goodies I can find….. so THANKS!! 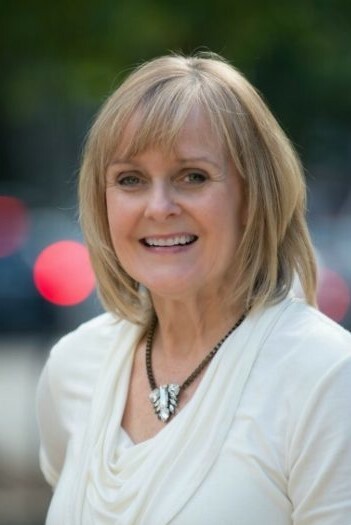 Hi Patti, I just popped over from, er, I lost track of where I popped over from but I’m glad I found you anyway! LOL! Lovely blog indeed! Hmmm, so you made the move to WordPress… I hear you on the issues although I have managed to escape so far. Was it easy to move your blog over to WordPress and is it expensive? I do like a lot of features that I’ve seen on WordPress blogs but I was on WordPress once several years ago and I found it to be really confusing… do you have any issues with it being complicated? Congrats on your successful transfer to WP…Kristi is wonderful…she did mine too….and that piece that you did is just gorgeous! !